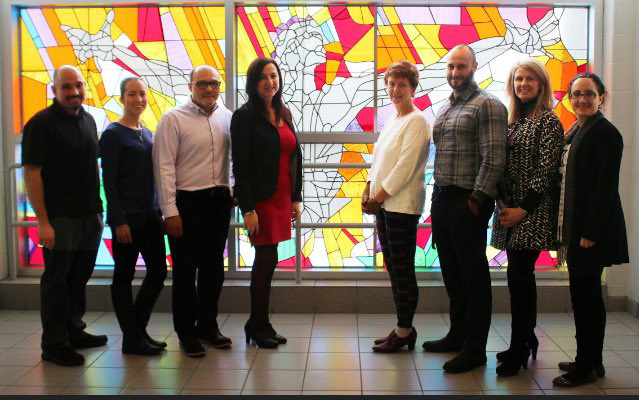 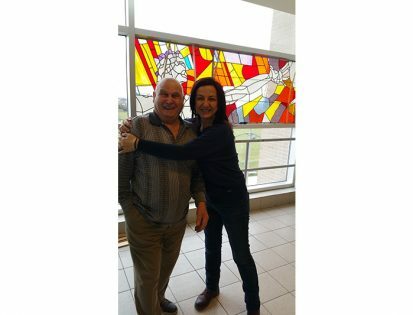 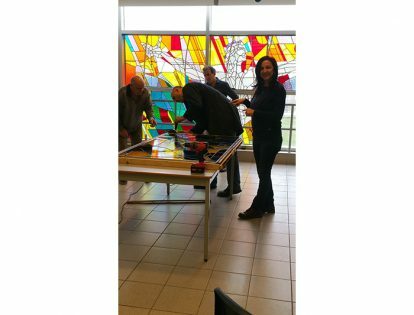 Victoria and Christine, Grade 12 students at St. Jean de Brebeuf CHS created an artistic drawing that Bruno Stillo, a Master Stained Glass artist, handcrafted into a large stained glass artwork for the school. 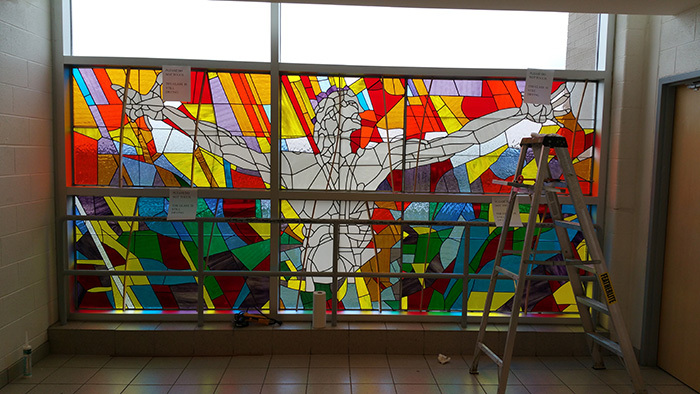 The beautiful stained glass representation of the Risen Christ is mounted on the third floor of the school. Stillo spent over 6 months working to create the beautiful stained glass rendition of the students’ drawing. 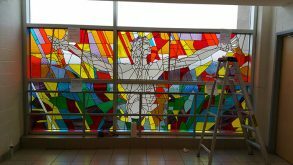 St. Jean de Brebeuf is proud to add this beautiful large spiritual art piece of the Risen Christ at the school. 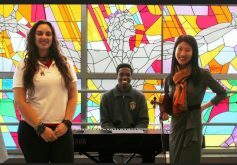 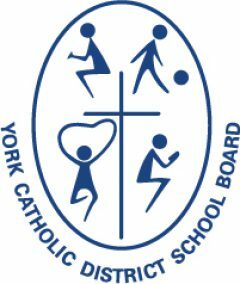 “It is a testament to our Catholic school vision and mission to ‘love tenderly and walk humbly with our God,” says Rocchina Antunes, Principal. 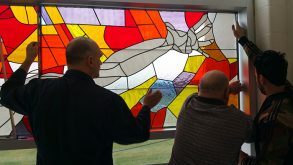 The school unveiled the stained glass artwork on December 13th during a small blessing ceremony it held for it.